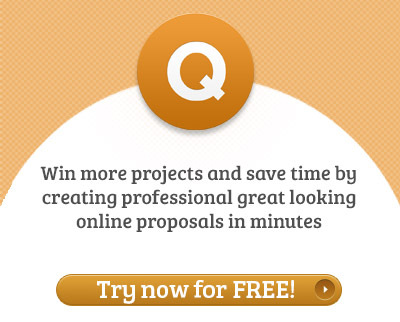 What is a Mission Statement of Business Proposals? 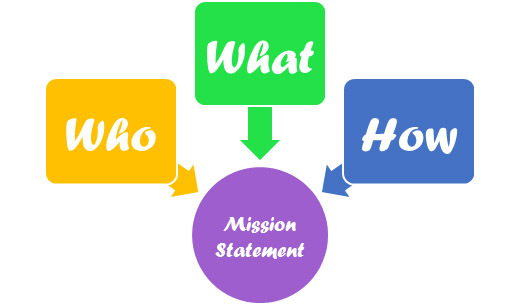 What is a Mission Statement And Why You Need it For Your Proposals? Have you asked yourself this question: what are the reasons your business exists? If you know the answer, good for you, go ahead and skip to the middle of the article, I won’t tell anyone. However, most of the solopreneurs and small companies do not have a clear answer and this blurs the activities and goals of their business. How can you keep all your activities in sharp focus? Mission statements are incredibly simple, so don’t be put off by the magnitude of what you think they are. Collective knowledge defines a mission statement as a reason for a company’s existence. We are going to make it even easier. Just answer these three simple question to create a persistent and compelling mission statement. Mission statement should be reflected in every action you take and any business activities you perform: starting from website design to your email signature. By communicating with you, your potential clients should see that you are consistent and have a clear understanding of what you are doing, and how you are doing it. When you are creating a business proposal, you should always take into account your mission statement. It will allow you to understand if the client needs are the ones that you can solve. When crafting your mission statement try to keep it broad enough for growth, e.g. Envato’s mission statement. 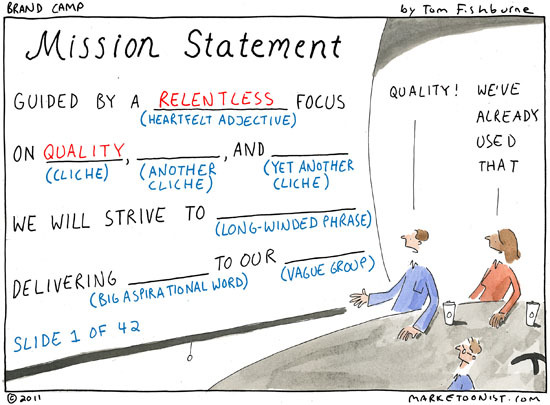 Why your business proposals should include a mission statement? When you look at major corporations selling one type of product, this is a foundation for their mission statement, i.e. a car manufacturer only has one mission. To make cars and sell them to you: irrelevant of the style, price or demographic. Now, take a look at Virgin Group. They have over 400 brands and each has its own mission statement. The Virgin Group then promotes their own mission statement as an umbrella, overseeing all their objectives. So in reality, Virgin has two mission statements – one for the corporation and one for each sub division. When you are working on mission statements, use the same theory as above. Are you selling one product or do you have verticals? As a designer-developer cyborg, you might offer programming services along with accompanying design. Some of the customers will only need one of them; others will need both. Creating mission statements have to be planned out in a manner that shows you in your best light yet does not deter from your objectives by trying too hard to appease one client. If you fall into this trap, you will spend your career trying to fit in. Anyone who tries to fit in loses core values of their business intentions, and looks scattered in their thought process. You are in this to make a niche for yourself. Do you need to promote your mission statement only to one target market or for multiple? Could you make various mission statements that you can adapt to each market without looking like you are scattered? Remember that when you are creating a mission statement for your website, this is something you need to have set in stone. Yet if you are creating a mission statement for a marketing proposal, then you can adapt it according to the audience. Our company creates a technology that can be licensed to the clothing industry in order to reach the maximum potential in time & cost effective inventory aggregation. By implementing our unique API, we provide a drag & drop set of features that you can use for your back end storage supplies; and keep full track of your purchases and sales. This company has a technology to basically check inventory, see what’s selling, what’s not selling, create repeat orders automatically and sell off redundant purchases that would usually be a financial & storage space burden. Now, you are creating a presentation for Ralph Lauren so they can license your technology. Yes, the Big RL is interested in what you have to sell, which makes you now consider that they are not keeping track of their own inventory and you have something they could use. Our company creates a technology that you can implement within four weeks, enabling you to track your purchases and discarded sales that require re-selling at a discounted price. With seasonal trends and four global fashion events per year, Ralph Lauren’s fabric inventory requires a surge of analysis after each event. By integrating our API, we provide you the platform to review the fashion week inventories that are big sellers, enabling you to reach your store buyer’s demands in a faster turnaround. Our API also provides a summary of fabric that is on the second tier of interest to buyers so you can repurchase at a lower price, based on supply and demand. You are highly focused and customer-centric: your statement is directly associated to RL annual life cycle. Furthermore, you didn’t have to compromise your mission statement in no way. It was broad enough to adapt it for a big client. In summary, each business needs a mission statement to clearly present what they do and how they are different. The simple exercise of crafting your own missions statement will allow you to take faster bid-no bid decisions and present your proposals on a higher more professional level.